Brr! Baby it’s cold outside! But it’s cozy inside so this is a good time of the year to stay inside and get lots of sewing done. We’ve gathered up ten sewing tutorials perfect for the wintertime. 1) Follow our tutorial on how to add pockets to pants (or skirts). It’s being shown on the Parachute sweatpants, but can be done one many other patterns as well. 2) Add piping or trim to a sleeve. See it being demonstrated on the Hide-and-Seek dress. 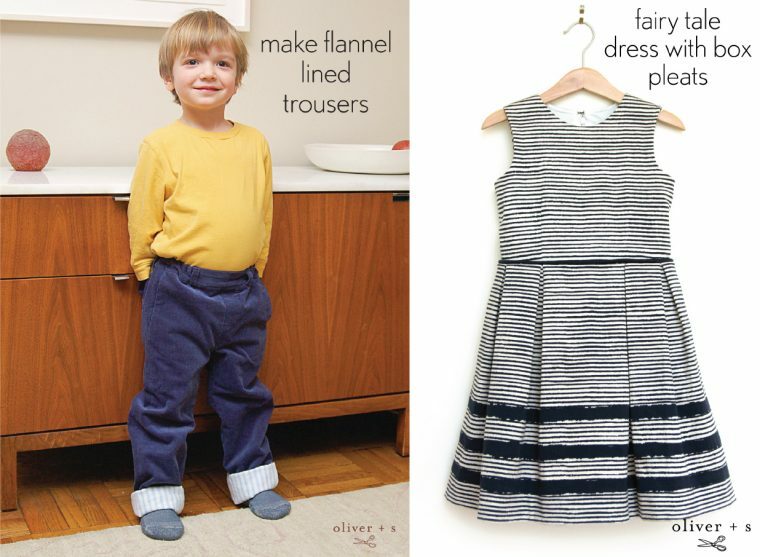 3) Learn how to make flannel lined trousers. It’s being shown on the Art Museum trousers. 4) Add some box pleats to a Fairy Tale or Building Block dress. 5) The Art Museum trousers look adorable with bow welt pockets. 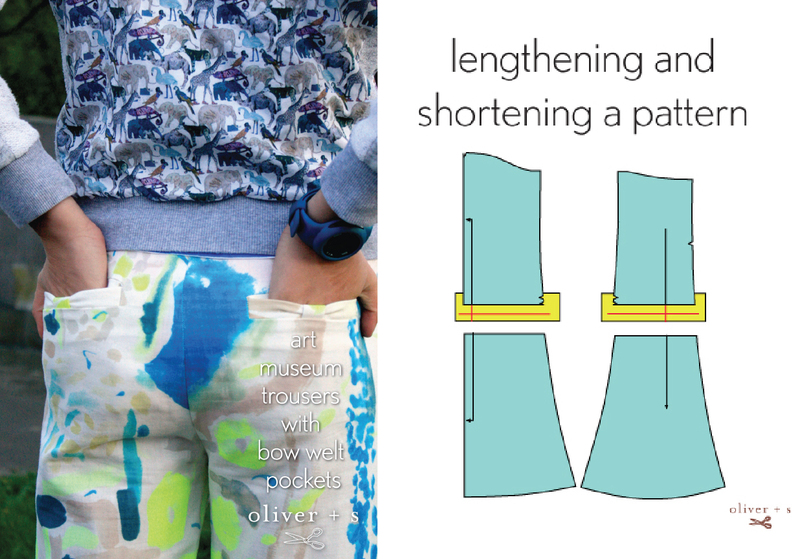 6) Learn the proper way of lengthening and shortening a pattern. 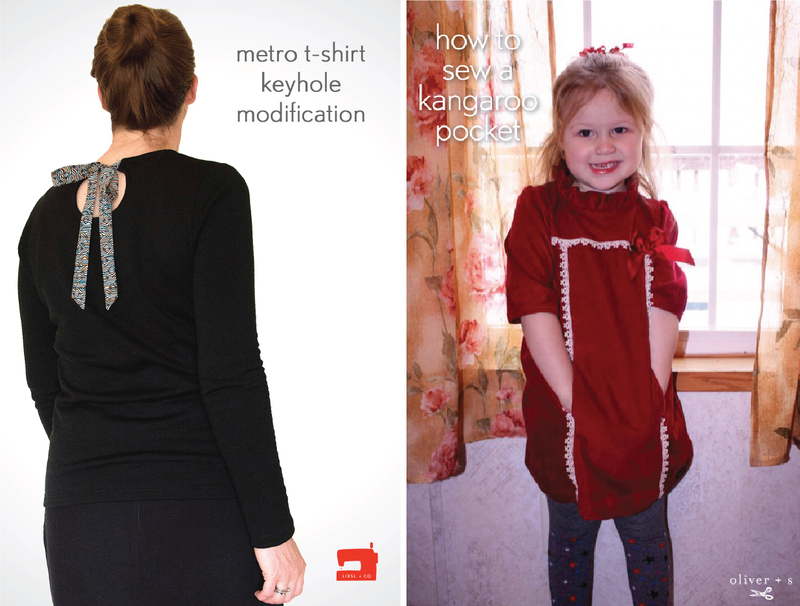 7) Make a fun keyhole modification on the back of a t-shirt pattern such as the Liesl + Co. Woman’s Metro t-shirt. 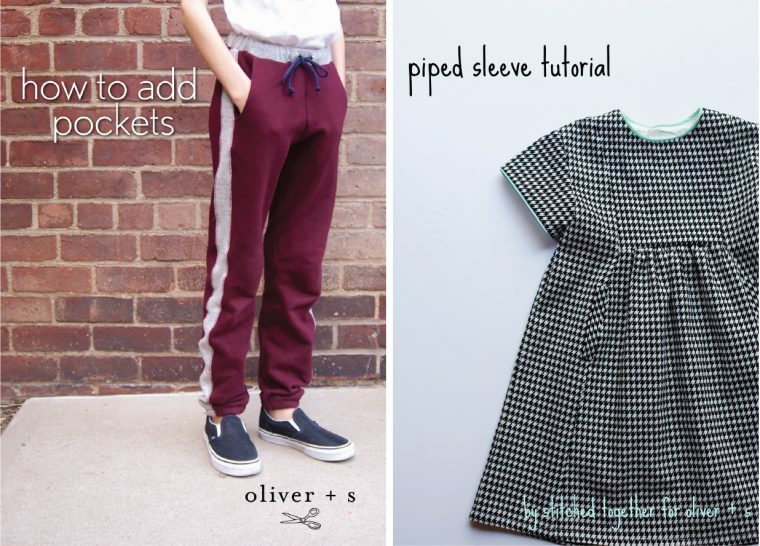 8) Learn how to sew a kangaroo pocket which is a lovely feature in the School Photo dress. 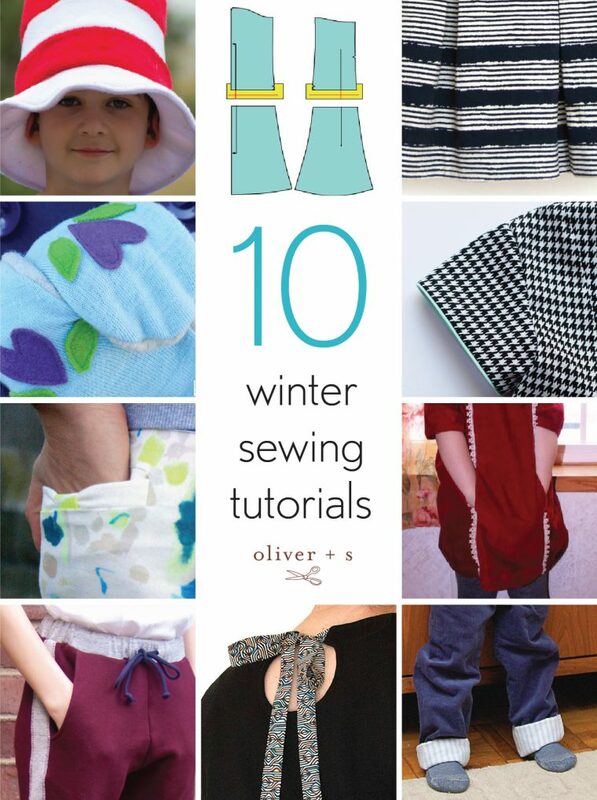 9) Sweater mittens can be made by using the mittens pattern for the Little Things to Sew book. 10) Dr. Seuss’ birthday is March 2nd. Sew a Cat in the Hat hat for your child when it’s Dr. Seuss week at school. It uses our free Reversible Bucket Hat pattern.